Shaped by fishing and oyster farming, Arcachon Bay has kept its authenticity with its seven ports and the Dune du Pilat, peaking at 345 ft (105 m). An ideal setting for business trips or vacations with your partner, family or friends. 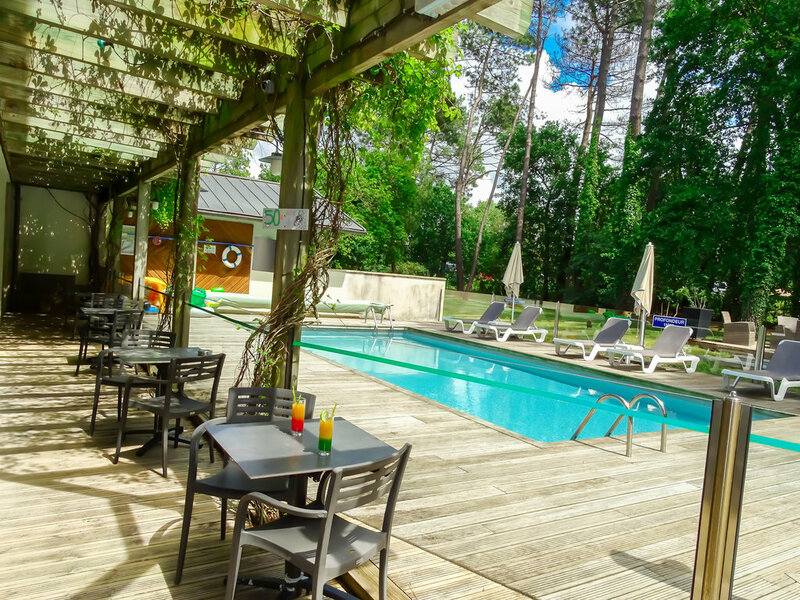 The Ibis Arcachon la Teste hotel is located in a pine forest, a short stroll from Pyla dune and the Bassin d.Arcachon. Close to it are 80 km of beaches, small oyster farmings ports, the Landes forest and vineyards. The hotel has 75 air-conditioned rooms with Wifi Internet access including 3 adapted for disabled guests and 4 meeting rooms. Restaurant, bar, snacks 24/24, terrace, swimming pool and private outdoor closed parking are at your disposal. A golf course and tennis courts are close by. Sights include the Great Dune of Pilat, the Teich Bird Reserve, the Arcachon Bay, cabanes tchanquées (shacks on stilts), beaches, little harbors, oyster beds, the Landes forest and the Bordelais vineyards. Cycling route in front of the hotel and bike rental. Large free car park, closed at night and fitted with CCTV.